While holidays bring good times and cheer for many, they also bring a unique set of circumstances for companion animals. Whether it is the guests that are arriving or the food being served, I will be talking about ways you as a pet parent can keep your pets safe and happy this holiday season! Before you give in to those big, pleading eyes and feed your pet that leftover turkey leg or Christmas candy, be aware of the harmful and even deadly consequences of feeding “people” food to any companion animal. Trust me, I know how hard it is to tell them no, but as the responsible pet owner that you are- saying no is a must! One way to reduce the pet’s urge to beg is to feed him/her before guests arrive! This will hopefully cut down on the chances of begging or stealing food. I suggest that you feed your animal their favorite “type” of meal, so they get full! As a rule, I always inform my guests of the house rules regarding my pets and this is something that you should do as well. Each house is different, so the family may not know! Also, if your guests (or you) smoke or drink, be extra vigilant and keep nicotine and alcohol out of your pet’s reach. These can be highly toxic — even deadly! Turkey Skins, Gravy, BUTTER (Rich, fatty foods)- can cause pancreatitis, an inflammation of a digestive gland, and can be very painful and serious, leading to hospitalization. Stomach upset, vomiting, and diarrhea can occur if pets consume these items. Limit table scraps, and let your guests know as well. COOKED BONES- These can tear or obstruct your pet’s intestinal tract. Make certain all bones are disposed of properly. Poultry bones can be especially dangerous or even fatal to animals (big choking hazard). Keep all strings, bows or yarn away from your pets. These can get tangled in the pets digestive track and can lead to death! Turkey stuffing and onions- These are toxic and can destroy a dog’s red blood cells, leading to anemia. Foods containing high amounts of onion powder should also be avoided. Grapes and raisins: Delicious, yet DEADLY! Grapes especially contain toxins that can cause kidney failure. Chocolate — especially baking chocolate — can actually kill your dog, so keep all such goodies well out of reach. Chocolate can affect the nervous system and cause urinary system and heart muscle damage in your pet. It also contains theobromine, which can be especially harmful to dogs if ingested in large quantities. Coffee- This is dangerous to animals. Watch out for grounds and whole beans. Rolls/ Bread- Many pets are allergic to gluten! 1) Keep pets in a designated part of your home. This is beneficial for two reasons. Firstly, if your pet is not used to having twenty people in your home, it is better for them to just have their own quiet area. This will cut down on their stress levels! Secondly, with all of the kids running in and out of the house, it is safer! It only takes one instance where closing the door doesn’t happen quick enough and your pet has taken off outside. 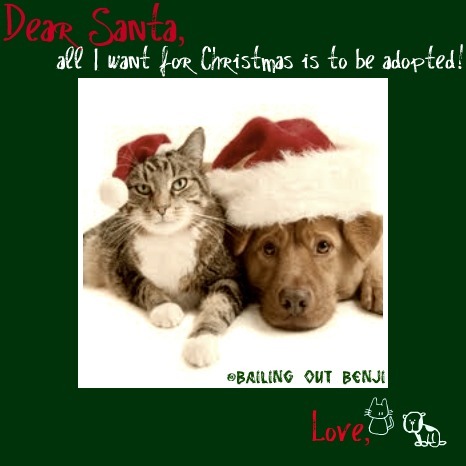 No one needs the added stress of a lost pet during the holidays! If you are handy, make a bunch of homemade treats in advance! That way your pet feels special too. Either way, your friends and family are going to want to give your pets treats. Have parent approved treats set aside for your pet, this will also help to cut down on table scraps! Making sure your pet is a little exhausted before anyone gets there is also very beneficial to your pets health! For dogs, by giving them that extra long walk or taking them to the park, will drastically cut down on their “excitement” when the guests arrive. Not only will they be tuckered out, they won’t feel neglected when the attention is on something else! Please, follow these simple guidelines and help to keep your pet safe over the holidays!